One of the most fascinating people in the history of the Italian south, Frederick II, is a figure of contradictions. An orphan, emperor, crusader, excommunicate, expert in falconry and author of an innovative legal code. 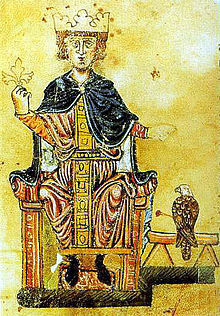 Born in 1194, Frederick’s father was Holy Roman Emperor Henry VI, and his mother, Constance, was heir to Sicily, a kingdom which at that time included the southern half of the Italian peninsula. His birth:Frederick was born in a public square near Ancona, Italy as his mother traveled south from Germany. She chose this public birth to forestall any doubts about her son’s origin. His father died when Frederick was two years old, and his mother died when he was four; Pope Innocent III became his guardian, overseeing his education and his kingdom during his childhood. Crusading: In 1228, after several delays which resulted in his excommunication, Frederick went on crusade. Because he was excommunicated, the local authorities and military orders refused to help him, but Frederick opened negotiations with the sultan Al-Kamil. The two agreed to a truce, and to Frederick’s coronation as King of Jerusalem in March of 1229. Though he never established an effective rule over Jerusalem, his success was admired by some leaders in Europe, though the church was further antagonized by his actions taken without church support. Legal reforms: The Liber Augustalis, also known as the Constitutions of Melfi, which Frederick promulgated in 1231, set in place a great reform from the feudal system previously used in his kingdom and much of Europe. The reforms made the king’s rule sovereign, required royal permission to carry a weapon, restored Roman “equality before the law” for all citizens, forbade independent city-states which were common in the north of Italy, and set up provincial governments answerable to the king. Although the new laws also made heresy illegal, at the request of the pope, the church frowned on the statute putting the clergy under civil authority. Castle design: In 1229, Frederick commenced the construction of a castle of his own octagonal design. Castel del Monte was completed shortly before his death in 1250, and remains the source of some debate as to its intended purpose. Many say it was built as a hunting lodge. It remains today a beautiful landmark in the Apulian countryside. Writer: During the 1240s Frederick wrote a treatise on falconry, a scientific book with detailed illustrations, dedicated to his son Manfred. 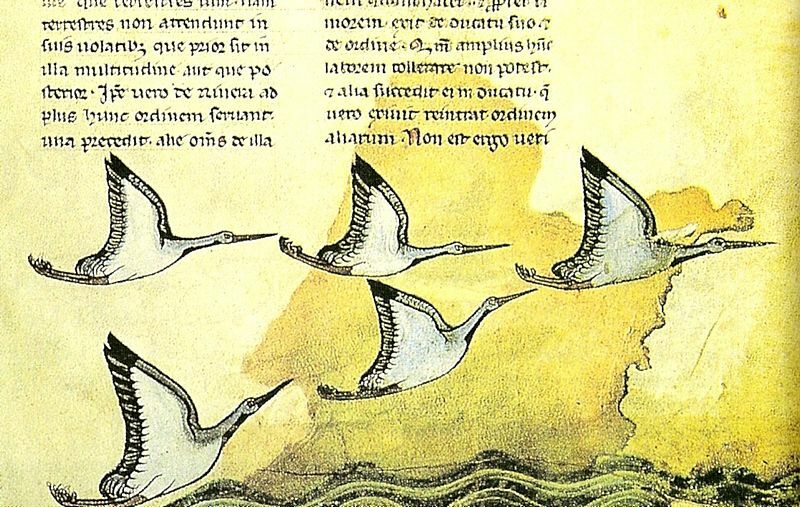 Titled (in Latin) “The Art of Hunting with Birds”, the book includes Frederick’s own observations and experiments, and is organized with scientific precision. Frederick loved Sicily and spent little time in his German realms. He is known as a patron of the arts and sciences, and a man ahead of his time. If all this has whetted your appetite, there’s plenty written about him. For a historian’s view of his life, I recommend David Abulafia’s biography, Frederick II: A Medieval Emperor. If you prefer fiction, you might try Cecelia Holland’s book Antichrist: A novel of the Emperor Frederick II. 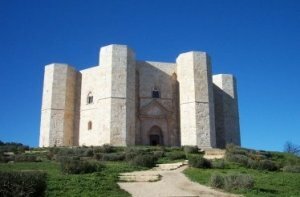 This entry was posted in History and tagged Castel del Monte, Constitutions of Melfi, falconry, Frederick II, history, Italy, sicily. Bookmark the permalink. I thoroughly enjoyed reading about Frederick ll. Your short rendition easily brought him alive to me. If I wasn’t blind I would read Albufia’s biography of him, I don’t think Tom is interested but…..maybe, maybe just! I finally visited Castel del Monte last summer, after thirty years of living near it, and it was quite interesting. Stark, enigmatic, striking and out-of-place. I recommend a visit, just don’t miss the bus or you will have to walk back to the car lot! My research in late 13th c turned up two men who were held captive in Castel del Monte for many years–From youth well into adulthood. 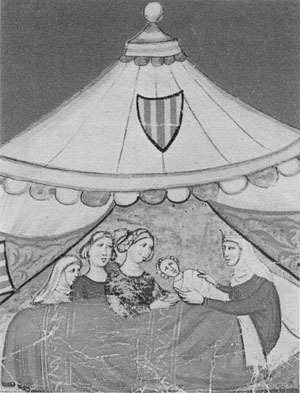 They were connected to Frederick’s dynasty and held captive by the Anjevins. I had a different sense of the castle picturing it as their prison (where I believe they were not treated well, as sometimes royal prisoners are).